There are 2 types of levels. One is your summoner level while the other are your monster levels. We are talking about summoner levels here. They are great starter monsters you will be using until you get the staple monsters. Just use these 3 and any new monsters you get to level. Now this part is all about trying to get one of your monsters to 5 stars and raising your summoner level. 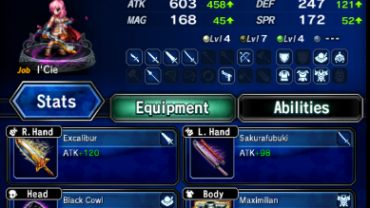 With the new update, you will get the water Magic Knight Lapis once you complete Mt. Siz normal. She is a natural 4 star monster that will be your farming monster from now on. She WILL BE your first 5 star candidate The old players didn’t have the luxury of having her when they are newbies. So new players should consider themselves lucky. You also want to complete the scenario map for normals. You should be able to do that right around level 20 or so. Your top priority is to get Lapis to 5 stars. From my experiment, Lapis should be able to do Faimon normal at 4 stars with decent 3-4 star runes. She can also do Faimon hard with good runes at 5 stars. You can easily get 4 star runes doing Giants B4-B6. Now once you have Lapis at 5 stars and with decent 4 star runes on slots 2/4/6, you are ready to level your way to 40 by doing Faimon. You should also start collecting monsters and building your Giants B10 team. When u say farm with this monster, u mean only with that monster? Or with that monster in a team? You farm using that monster(Lapis) and you train 3 “food” monsters with her. Does Lapis need to be 6 stars? Or is 5 stars possible too? 6 stars is preferred for hard mode. For faimon hell she needs to be 6 stars. At 5 stars you can do Faimon hard if your 6 star runes are maxed out on slots 2/4/6. Thanks but im dying 5/10 times on Faimon Hard with my Lapis..
My Runes are (1×2*) until 3-5 Stars. Am I doing something wrong? You need much higher speed. Since you put Veromos in the prioritized “farmable” monster, then I also recommend Sigmarus. I mean, you recommended a tanky team for GB10 and DB10. So i think Sigma can lead the team instead and replace Darion for giant and replace Baretta for dragon. man, what about Ahman??? no healer for b10? really?? bella will never make it. not for dragon, not with this team. and very likely not for Giant b10 also. Yes it will. If you cannot, then your team isn’t well runed enough. I am not gonna argue with you on Bella vs Ahman. Ahman will work as well, I just prefer Bella. What rune builds and 2/4/6 do you run on these monsters? Oh, you need 6 star runes. Just farm faimon normal for now. Work on your Giants B10 team. For Bernard, it honestly doesn’t matter where you farm or at what level. The drop rate should be the same, so I suggest to just do the easiest one for you while farming exp (usually the first lvl). For these monster you have rune recommendation sets for beginners, are there other set for these monster that are better? and also you don’t a rune set for Veromos. I just ran into your post and let me tell you I wish I had found it earlier. I have been playing for about 3 to 4 months and have a lot of monsters that i am not sure what to do with them first of all which ones to keep next how to understand how to use them. I don’t know if you can find me to see them but i am 2323 level 26 can you look at my monsters and help? I did level 1 forest over and over during the free hours of unlimited energy with Lich 4 start with all energy runes. WInd lich is a beast. Fuco will definitely be my first 6 star and awaken. Followed by Lapis. Hi, what is better for farming Faimon Hell Lapis( Magic Knight ) or Malak ( Kobold Bomber ). Also, for late game, who should i prioritise between those two monsters. Malaka for late game for GW and Arena. As for Faimon Hell, go with Malaka. Keep in mind you need very good 6 star runes regardless of who you choose. Whichever one gives better stats, but I would lean towards despair for the stuns. Go to swfarm.com and show us your monster box there. Just added my list, Draven559. Would love some help with what to keep/get rid of, thanks! get a new email from gmail and start over unless you got a really good drop. Where are u supposed to get those “good runes” if you can’t farm the places with good runes to beat b10 with. You can get good runes from b6-b8 occasionally, plus the magic shop will also sell some 6 star 2/4/6 runes if you play often. Sorry newbie here, but what do you mean by 2/4/6 runes? You list to level several light/darks as a priority. I have yet to see any light or dark as they only come from scrolls as far as I know and the scrolls cost the same as the 4/5 star scrolls. btw thanks for the tips. I have several of the recommended at 4 star 25 already. I’m pretty sure I’ve been consuming the wind griffin though. Ahh I looked back through other than Veremos which is gonna be impossible to get for a long while the other lights are listed as how to get. Thanks. How about MEGAN? Shes basically Shannon + Bernard with her spell of strengthening. I’m a returning player. used to have an Iphone, now use an android. I decided to start over with a new device, mostly because my account was attached to the apple ID XD. Anyways, I don’t appreciate the tone you take with new players getting “special treatment”. The community is pretty well settled, and that can make that hard for new players to catch up. Thus, they introduced a monster good for farming, but not much PVP potential. I remember how it used to be, and I’m grateful they added this so it won’t take me quite as long in the beginning to catch up. Hey, I have both Lapis and Water Charger Shark, but the problem is which one farm faimon fastest? And which one should i 6 star it first? i thought the wind yeti was good for healing? First thanks for all the wonderful information it is much appreciated. There are actually 2 different types of leveling per monster the numerical and the skill levels that require from what I understand Devilmon’s and or same type monsters to level skills up. Is there another way ? Do i have to rune my food monsters? if so, do i need it to be leveled up runes too? Having a hard time with faimon normal max 5 star lapis with 4 star +9 runes all over.